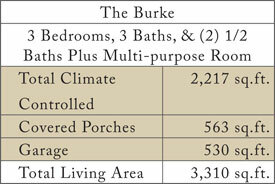 The Burke is an attractive home with a hip-over-gable roof and inviting interior room floor plan. An intriguing arrangement of windows and dormers allows for plenty of sunlight to cascade through the rooms. 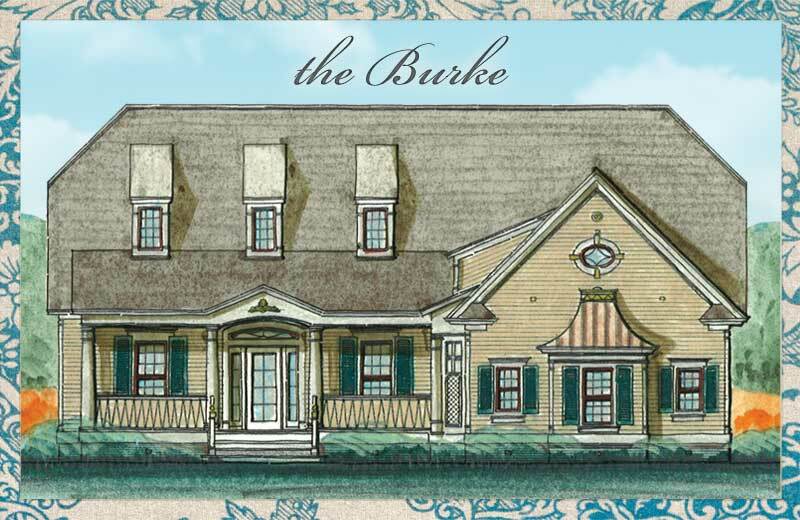 Step through the expansive front porch, appointed with decorative railings and classic columns, to enter a continuous living and dining environment complete with a breakfast nook, cozy fireplace, and cooking island. 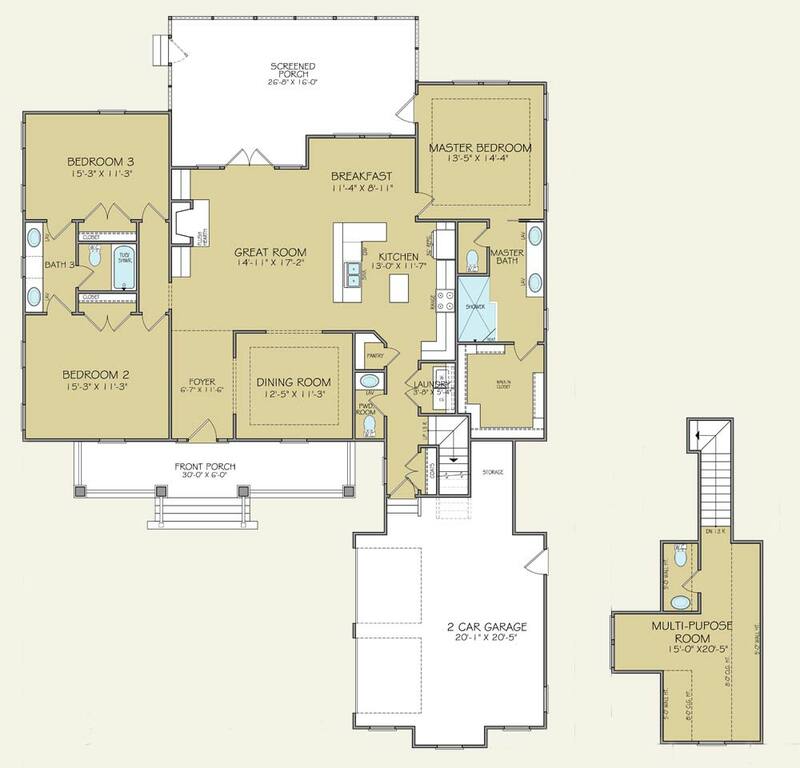 The owner’s retreat, on the opposite side of the residence from two intimately scaled guest suites, allows for private pampering and relaxation when family and friends visit.